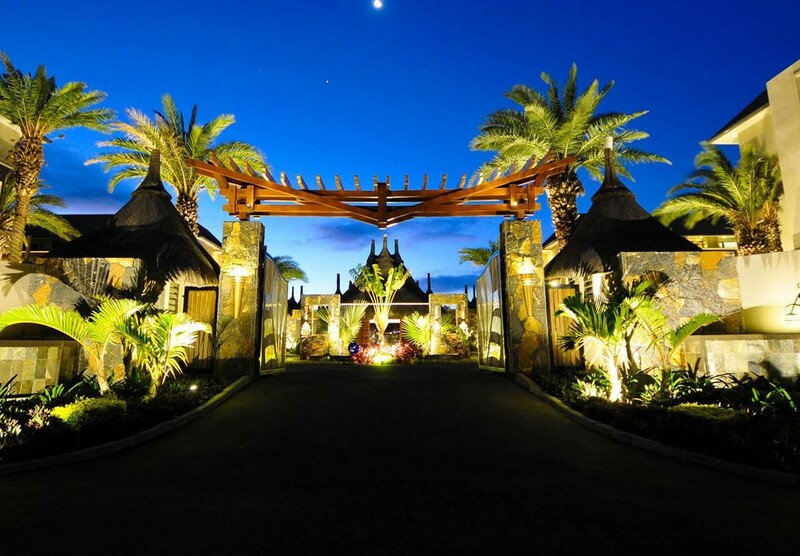 To enjoy your dream holidays in Mauritius, choose an apartment or a penthouse at the Domaine des Alizées Club & Spa. This high-end resort is located in the heart of Grand-Bay and is only 10 minutes away from the fascinating white sandy beaches. 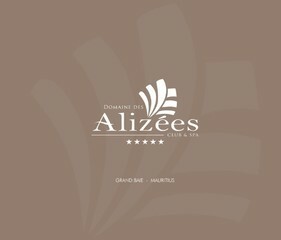 Domaine des Alizées cultivates the art of living with a permanent commitment to offer you the excellent holiday trip. Ideal for a holiday amongst family and friends, the Domaine Des Alizées also invites couples to enjoy their romantic stay in full intimacy and privacy. Made within an idyllic and magical setup for a memorable vacation, this prestigious residence is supported by a high quality service - a great sign of elegance and refinement that will amaze you. 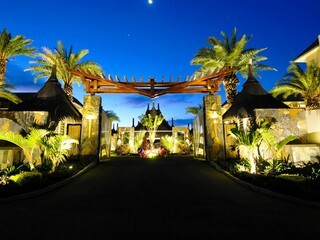 Autonomy, intimacy, pleasure and relaxation are undoubtedly the key words to describe your holidays in Mauritius. This property which opened its doors in 2013, offers a great and large choice of apartments and penthouses designed in a contemporary style, delicately blending originality and refinement. Materials like precious woods and cotton were favored to give the "chic exotic" touch. A great opportunity awaits you to relax! Domaine des Alizées proposes apartments with one or two bedrooms that can be found on the ground floor, the first and second floor. All the apartments are fully equipped and have access to free wifi. The master bedroom has a king size bed and en suite bathroom and the second bedroom has two twin beds, ideal for kids. A fully equipped kitchen and well furnished living/dining room are also available. All ground floor apartments have a terrace and all first and second floor apartments offer a nice view of the residence, garden and restaurant from their balcony. Our available penthouses have three bedrooms and can comfortably accommodate six persons .They are located on the third floor of the residence. The master suite has a king size bed and en suite bathroom. The two remaining bedrooms have a queen size bed and two twin beds respectively. A fully equipped American kitchen is also available; the living/dining room opens towards a terrace with a plunge pool, ideal for relaxing moments and perfect for a romantic stay! The plunge pool can also be heated at an additional fee. 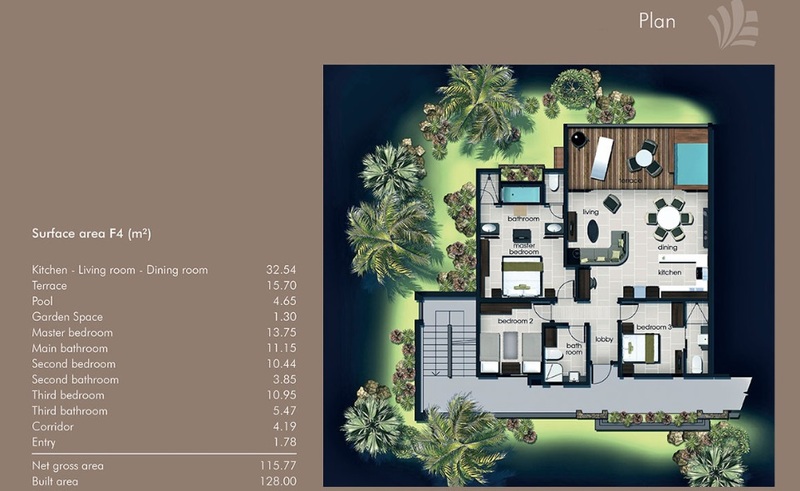 The residence consists of a large central swimming pool, a gym, a restaurant and a spa. Our guests can access our private beach club in Trou aux Biches and they can benefit from concierge service facilities.